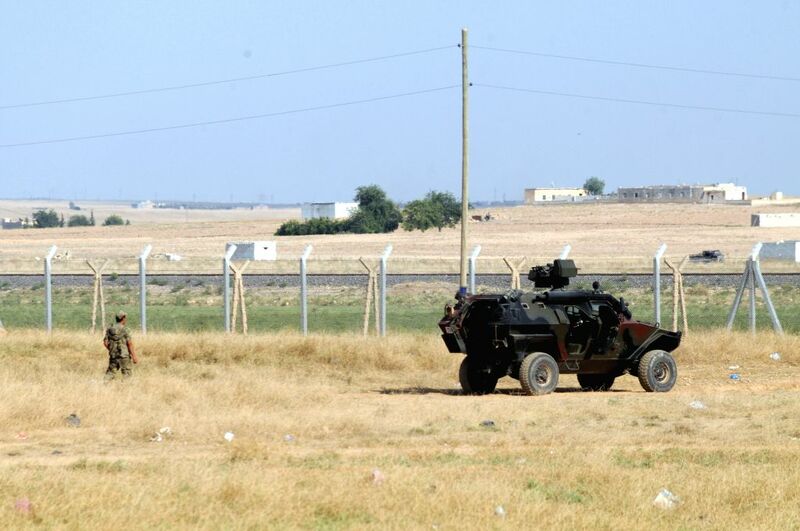 SANLIURFA, July 16, 2014 - A Turkish military vehicle is seen at the border areas with Syria in Sanliurfa in Turkey, July 16, 2014. Turkey tightened security measures in its border areas with Syria as Islamic State in Iraq and Levant (ISIL) militants intensified attacks against villages close to Turkish border in an attempt to capture Kurdish city of Kobane in northern Syria, private Dogan News Agency reported on Tuesday. The clashes have prompted the Turkish army to increase the number of troops in Gaziantep and Sanliurfa provinces along its border with northeastern Syria, where the Turkish Armed Forces dispatched tanks and armored vehicles. 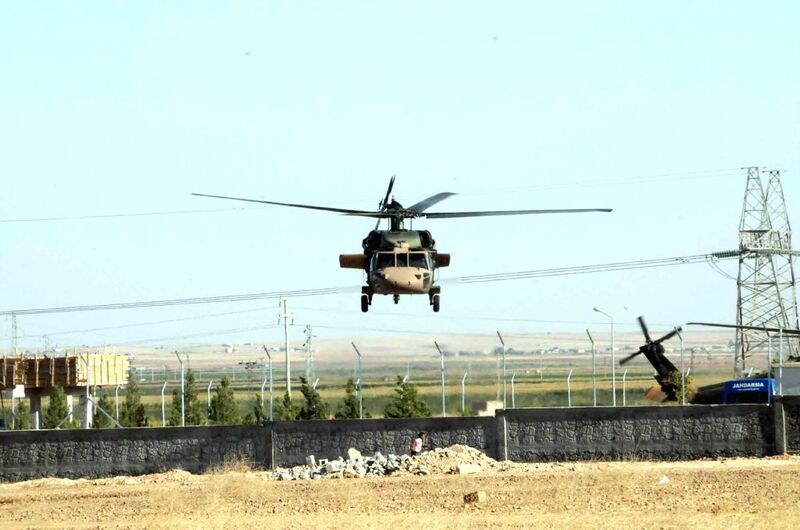 A Turkish military helicopter is seen at the border areas with Syria in Sanliurfa in Turkey, July 16, 2014.